Library - The Honorable Society of King's Inns. King’s Inns Library offers a legal reference, lending and online service to registered students. 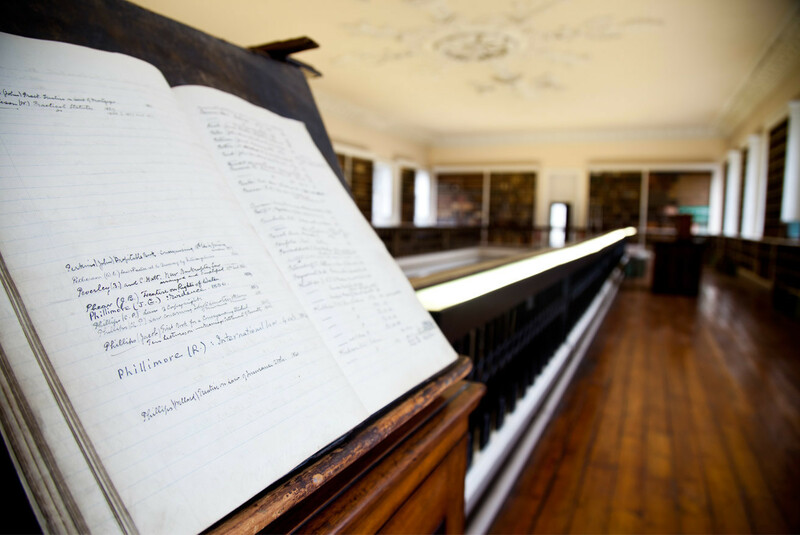 The Library is also available for the use of the members of The Honorable Society of King’s Inns and has a historically significant collection to maintain. In 1788 a nucleus law collection was formed though the purchase of the professional library of Mr Justice Christopher Robinson. The present library building was completed in 1832 and now houses over 110,000 volumes, about half of which form the legal collection. The legal collection contains mainly Irish, and many English, standard textbooks along with statutes, reports of cases and legal periodicals. European, Commonwealth and American law are well represented. Among the older legal materials are fine collections of trials, Irish appeals to the House of Lords, nominate reports, Roman law and canon law. Subscriptions to electronic databases including WestlawIE, WestlawUK, LexisLibrary, Bloomsbury Professional Online, Decisis, and JustisOne ensure students have remote access to a wide range of legal material online. The general collection contains works on art, history, the classics, literature, biography and numerous other subjects. Of particular note are the holdings of incunabula, parliamentary papers, pamphlets and Irish language manuscripts dating back to the 15th century. The Reading Room not only provides a space to study in but also has Wi–Fi access for laptops, several computer terminals for student use, as well as printing, scanning and photocopying facilities. 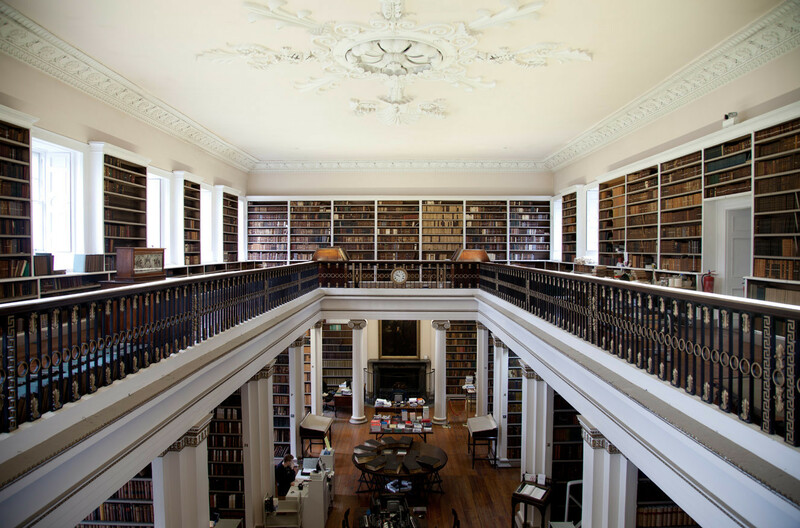 While King’s Inns was established in 1541, the Society had begun to acquire books for a library in 1788 when the benchers agreed to purchase some law volumes that belonged to the estate of the late Christopher Robinson, a judge in King's Bench. As its collection grew it was stored for a while in the bencher's chamber. In 1825, the Benchers voted £1,000 for the erection of a new library building. The present library building was erected between 1826 and 1830, to a design by Frederick Darley. In 1892 an annexe was added at the north–west end. The Society enjoyed the benefit of the Copyright Act, 1801, entitling it to a free copy of any book published in the United Kingdom; but it lost that privilege in 1836. Nevertheless, partly due to a steady stream of acquisitions that included donations, the Society soon boasted a fine collection of both legal and non-legal texts. The benchers thus encouraged members of the legal profession to read widely in both the humanities and the law. 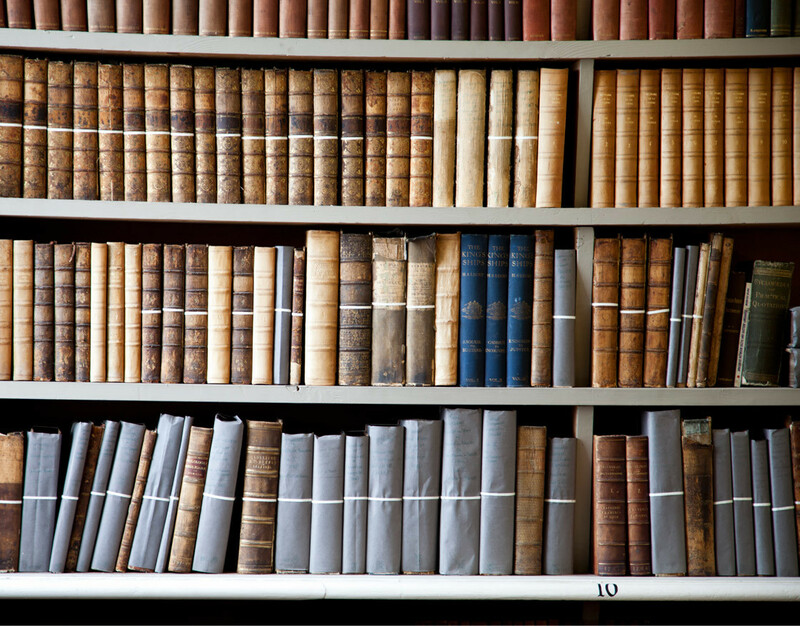 Today the library houses just over 110,000 volumes, including both legal and non-legal works. 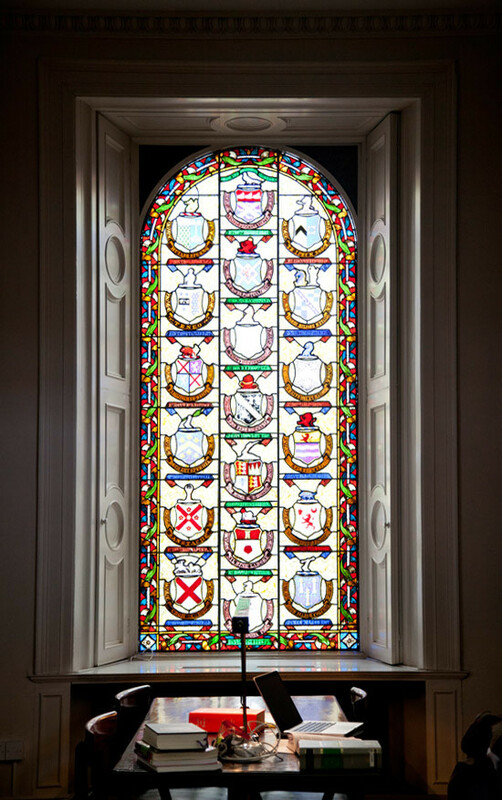 The Library is available for the use of registered students and members of The Honorable Society of King’s Inns. Admittance to the Library for those who are not registered students or members of the Society is at the discretion of the Library Committee, or the Librarian acting on its behalf. If you wish to consult an item which is unavailable elsewhere, please apply in writing to the Librarian, giving details of your enquiry and where appropriate, a letter of introduction. Some of our historically significant holdings are only accessible to established scholars under supervision. As some of our collection is fragile, we have a set of regulations for researchers. The Library is not open to the general public but will deal with enquiries, received in writing, about past members of the Society. However, as our priority is our current students, these enquires may only be dealt with outside of the academic term. Charges for genealogical research are set out below. Any changes to the opening hours will be posted outside the Reading Room and on the noticeboards. Opening hours may be extended in the lead up to the Exams. On occasion the Reading Room is required for training and functions and may be closed for student use. Only students registered at King’s Inns may borrow material from the holdings of current legal textbooks. A total of two books may be borrowed at a time. Certain current textbooks are for Library use only. The majority of the Library’s holdings are reference only. Material may be renewed or reserved, by placing a hold. Please contact the library by email or telephone +353 1 878 2119. The Library subscribes to a wide range of electronic databases which provide students with remote access to Irish, English, European and International material. King’s Inns Library subscribes to the Irish property law, Irish civil litigation, Irish criminal law, Irish company law, Irish planning law and Irish employment law modules of this service, enabling students to access major Irish legal textbooks and a monthly update of legal developments in the specific areas. An online legal research platform and database providing access to Irish reported and unreported cases and European material. Working as a citator it provides information on the relationship between cases. An online legal research tool which includes Murdoch’s Dictionary of Irish Law with links to Irish legislation and unreported judgments. Available through Bloomsbury Professional Online. A current awareness tool, it includes updates on all recently published judgments of the Irish superior courts. An extensive range of material is on this database including Halsbury’s Laws of England, law reports from the UK and Ireland, international and UK journals, material from Australia, Canada and New Zealand and some e–books. A wide range of Irish legal periodicals can be found on this database. It also provides access to the Consolidated Court Rules, Irish Current Law Statutes Annotated, the Irish Law Reports Monthly, a current awareness service and some e–books . A major legal database which gives access to a wide range of UK legislation, law reports and journals. The Legal Journals Index, EU and international material are also included. Some e–books are covered by the King’s Inns subscription. The Library of the King’s Inns is a registered customer of the British Library Document Supply Service. The purpose of this service is to enable students to have access to material not currently held by the Library. Students can access copies of articles, journals, reports, conference papers or borrow books from the British Library collection. The fees for this service are set by the British Library Document Supply Service. Please contact a member of the Library staff for further information or if you wish to avail of this service. 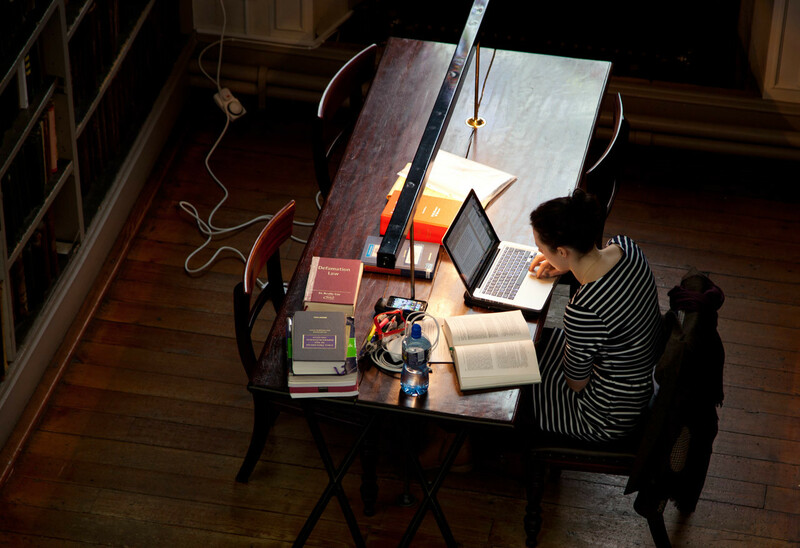 King’s Inns Library may be accessed for research purposes by suitably qualified members of the academic community who have been granted the necessary permission and by prior appointment only. Some of the material held by the Library is fragile and regulations for researchers must be adhered to. Library staff are happy to assist with genealogical queries about past members of the Society. However these requests must be received in writing and, as our priority is our current students, these enquiries may only be dealt with outside of the academic term. Charges for photocopies, digital images, scanning and for genealogical and other research undertaken in the Library are set out below. All our charges are currently under review. All relevant provisions of the Copyright and Related Rights Act, 2000 must be complied with. User Category A: Registered students and members of the Society. User Category B: Members of the academic community, i.e. lecturers and students from third–level educational institutions, who have been granted permission to use the library facilities. User Category C: Persons, other than those in Categories A and B above, who have been granted permission to use the library facilities. User Category A: Users in Category A are not required to pay a search fee but are subject to the charges set out below. User Category B: Users in Category B are not normally required to pay a search fee but are subject to the charges set out below. In cases where the Library staff spend an exceptional amount of time on a search the Library reserves the right to require the payment of a search fee. User Category C: Users in Category C are required to pay a minimum search fee of €50.00 per search plus the charges set out below. In general, the search fee is payable in advance. The above fee also applies to persons who correspond by letter, telephone or e–mail. The granting of permission to use the library facilities to all persons in the B and C categories above is at the discretion of the Library Committee, or the Librarian acting on its behalf. Digital images of archives: €1.00 per image. Photocopying/Printing: 6c per page with the use of own student card; 12c per page with the use of the Library’s smart card. Digital images of archives: €1.50 per image. Photocopying/Printing/Scanning: 12c per page with the use of the Library’s smart card. Digital images of archives: €3.00 per image. Photocopying/Printing/Scanning: 25c per page with the use of the Library’s smart card. If photocopying is carried out by Library staff on behalf of any category of user there is a surcharge of 12c per page in accordance with the provisions of the Copyright and Related Rights Act, 2000 (S.I. No. 427 of 2000). No library book, periodical or other work other than those designated for loan, may be taken from the Reading Room except on the authority of a Bencher of the Honorable Society of King’s Inns. All Library users, with the exception of Benchers, must sign the attendance book. Students must not bring unauthorised visitors into the Reading Room, except on designated dates. King's Inns Library reserves the right to refuse admission. Users are not allowed to bring briefcases or bags of any description (including handbags, laptop bags/covers/sleeves) into the Reading Room. Please use the lockers provided for day by day usage in the Entrance Hall. Users who bring bags into the Reading Room will be asked to remove them immediately. No bottles or containers of ink or correction fluid, or any sharp objects, may be brought into the Reading Room. Students are permitted to have natural water in non–spill bottles in the Reading Room. No other drinks are permitted. Food of any type (including chewing gum) is strictly forbidden in the Reading Room. Smoking, including electronic cigarettes, is prohibited in all areas of the Library Building. For the sake of other users, please be as quiet as possible in the Reading Room of the Library. All electronic devices should be used in a manner that does not cause any disturbance to other users. The use of mobile phones in the Reading Room is not permitted. All Library users must furnish proof of their identity if requested to do so by Library staff. In the case of King’s Inns students, the King’s Inns student I.D. card will be sufficient. All students must ensure that they have a current King’s Inns student I.D card, please note that these are non–transferable. All borrowing transactions (issuing/returning/renewing), and all printing/photocopying must be completed 15 minutes before closing time. Students are requested to shut down their computers not later than 10 minutes before the stated closing time. A bell will be rung 15 minutes before closing time. Users are asked to leave the Library Building by the designated closing time. Any person who breaches Library regulations may be reported to the Council of King’s Inns or the Benchers of the Society, or both, for appropriate action. The online catalogue, available to students through Moodle lists all law textbooks and the current legal serials holdings. Work is in progress on converting the older legal periodicals from the card catalogue. The Printed Catalogue lists law books received up to 1846, with some written additions up to c1920. This material is included in the records on the online catalogue. The Guard–book Catalogues list the non–legal works held by the Library. A project is underway to convert these handwritten records into online catalogue entries. The Library holds over 300 manuscripts, which date from the early 17th century to the 20th century, covering both legal and non–legal matters. Further information on our manuscript project can be obtained here and more detailed information on the content can be found in our “Guide and Descriptive List”.